Is fear of flying keeping you grounded? Want a quick and easy way to conquer it for good? The thought of traveling across the sky thousands of feet up can make you panic. But statistics show that flying is safer than most forms of travel, making it the best and fastest way to explore the world around you. With the Overcome Fear of Flying subliminal session, you'll unlock the key to inner reserves of strength and confidence! 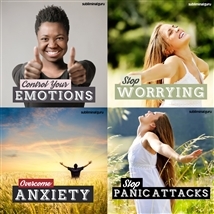 As you listen, thousands of powerful positive affirmations will infuse your mind, helping you adjust your attitude. You'll start to relax and look forward to your next flight, eager to get on that plane and begin your next adventure. You'll learn to enjoy the journey, knowing that you'll only be in the air for a small part of your overall trip. 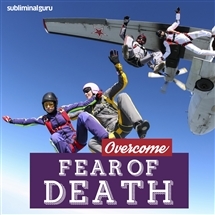 Download the Overcome Fear of Flying subliminal audio now to take to the skies with courage and delight. I stay calm and relaxed when on a plane. Traveling by plane is exciting. I let anxiety and stress simply drift away into the clouds. Flying lets me explore more of the world. I love flying to far away places. I stay calm and collected throughout the flight. I enjoy the thrill of flying. I know that flying is one of the safest ways to travel. I look forward to flying with enthusiasm and anticipation. Traveling by plane is easy for me to cope with. Every day I feel more confident about flying. I take traveling by plane in my stride.